Welcome to Freight Network Corporation. By using Freight Network Corporation products, services or website you agree to the following terms and conditions and any policies, guidelines or amendments that may be presented to you from time to time, including but not limited the program policies and legal notices. We may update the terms in the future and you will be able to find most current version in this area. You are responsible for maintaining the confidentiality of your account and are responsible for all activities that occur under your account. You agree to immediately notify FREIGHT NETWORK CORPORATION of any unauthorized use of your password or account or any other breach of security FREIGHT NETWORK CORPORATION cannot and will not be liable for any laws or damage arising from your failure to provide us with accurate information or to keep your password secure. FREIGHT NETWORK CORPORATION work closely with certain business partners to provide you high quality products and services. With some of these businesses we will share the personal information that you provide us if it is relevant to the services that our partner provides you. 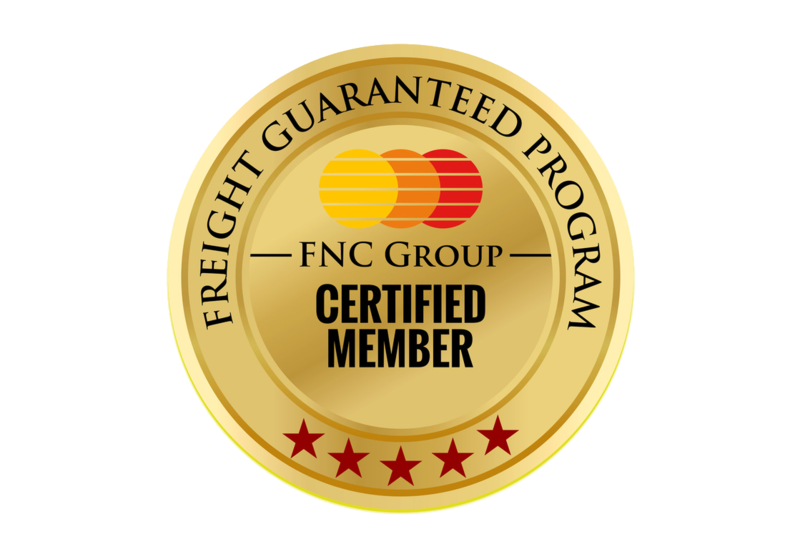 FREIGHT NETWORK CORPORATION is a neutral venue and FREIGHT NETWORK CORPORATION is not a transportation service provider, freight forwarder, carrier or broker. The site acts as a neutral venue where the shippers and service providers can meet and enter in to an agreement FREIGHT NETWORK CORPORATION are not involved in the actual transaction between users and service providers. As a result we have no control over the quality, safety or legal aspect of the transaction that take place through our website. FREIGHT NETWORK CORPORATION reserve the absolute right to reject your participation or remove you from current participation in the FREIGHT NETWORK CORPORATION website at any time and for any reason. An event that may result in the rejection or removal of your participation can include but not limited to any circumvention of the FREIGHT NETWORK CORPORATION market place by you or by others at your direction. Resignation or removal of membership during the year will not entitle the member to any refund of the membership fee. Membership fee is not transferable or refundable. FREIGHT NETWORK CORPORATION , our employees and our suppliers provide services without any warranty or express implied our statuary condition. We specifically disclaim ant implied warranties of title merchantability, fitness for a particular purpose and non infringement. In no event shall FREIGHT NETWORK CORPORATION , our employees or our suppliers be liable or lost profits or any special, incidental or consequential damages arising out of or in connection with our website, our services or this agreement however arising, including negligence. Our Liability, and that our employee and suppliers to you or any third parties is limited to greater of the amount of fees you paid to us in the twelve month prior to action giving rise to liability and,CHF 100. You agree to indemnify and hold us and our offices, directors, agents and employees harmless from any claim or demand including reasonable attorneys’ fees, made by any third party due to or arising out of your negligence, breach of this agreement or violation of any law or the right of the third party. You may discontinue your use of FREIGHT NETWORK CORPORATION services at any time. You agree that FREIGHT NETWORK CORPORATION may at any time and for any reason including a period of account inactivity terminate your access to FREIGHT NETWORK CORPORATION services, terminate the terms or suspend or terminate your account. In the event of termination your account will be disabled and you may not be granted access to FREIGHT NETWORK CORPORATION , your account or any other contents contained in your account.